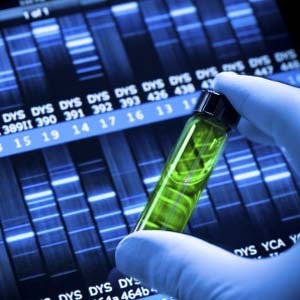 The center has over a decade of experience in the genetic analysis of a variety of traits. Our expertise ranges from simple heritability and gene-by-environment interaction analyses, via advanced multivariate genetic analysis and genetic risk prediction, to complex biological pathway analyses. We integrate knowledge from classical and modern genetics, biology and bioinformatics and use advance statistical tools to weight different kinds of information and evaluate research outcomes. We have developed a semi-automatic statistical pipeline for quality control of genetic data and follow-up analyses. We can accommodate the analyses of single-nucleotide variants, copy number variants, as well as exome and whole genome sequence data. In addition, we have developed and published several tools to conduct genetic pathway analyses and multivariate genome-wide association. We can accommodate the analyses of multiple parameters obtained in single cell experiments as well as of data from millions of genetic variants in hundreds of thousands of patients and controls. Our center has access to high-performance cluster computing facilities and has ample experience in utilizing cluster computers for genetic analyses, ensuring rapid availability of outcomes. Our traits range from behavioral phenotypes to gene-expression levels or disease status and can be measured in humans, mice or cells. We use statistical power analyses to determine the most optimal patient selection strategies and research designs for functional studies. Secondary analyses include functional annotation and prioritization of genetic research outcomes. Benyamin B, et al. Childhood intelligence is heritable, highly polygenic and associated with FNBP1L. Mol Psychiatry. 2014 Feb;19(2):253-8. Beunders G, et al. Exonic deletions in AUTS2 cause a syndromic form of intellectual disability and suggest a critical role for the C terminus. Am J Hum Genet. 2013 Feb 7;92(2):210-20. Cross-Disorder Group of the Psychiatric Genomics Consortium. Genetic relationship between five psychiatric disorders estimated from genome-wide SNPs. Nat Genet. 2013 Sep;45(9):984-94. Cross-Disorder Group of the Psychiatric Genomics Consortium.Identification of risk loci with shared effects on five major psychiatric disorders: a genome-wide analysis. Lancet. 2013 Apr 20;381(9875):1371-9. Lips ES, Cornelisse LN, Toonen RF, Min JL, Hultman CM; International Schizophrenia Consortium, Holmans PA, O’Donovan MC, Purcell SM, Smit AB, Verhage M, Sullivan PF, Visscher PM, Posthuma D. Functional gene group analysis identifies synaptic gene groups as risk factor for schizophrenia. Mol Psychiatry. 2012 Oct;17(10):996-1006. Rietveld CA, et al. GWAS of 126,559 individuals identifies genetic variants associated with educational attainment. Science. 2013 Jun 21;340(6139):1467-71. Schizophrenia Psychiatric Genome-Wide Association Study (GWAS) Consortium. Genome-wide association study identifies five new schizophrenia loci. Nat Genet. 2011 Sep 18;43(10):969-76. Rizzi TS, Beunders G, Rizzu P, Sistermans E, Twisk JW, van Mechelen W, Deijen JB, Meijers-Heijboer H, Verhage M, Heutink P, Posthuma D. Supporting the generalist genes hypothesis for intellectual ability/disability: the case of SNAP25. Genes Brain Behav. 2012 Oct;11(7):767-71. Ruano D, Abecasis GR, Glaser B, Lips ES, Cornelisse LN, de Jong AP, Evans DM, Davey Smith G, Timpson NJ, Smit AB, Heutink P, Verhage M, Posthuma D. Functional gene group analysis reveals a role of synaptic heterotrimeric G proteins in cognitive ability. Am J Hum Genet. 2010 Feb 12;86(2):113-25.
van der Sluis S, Posthuma D, Dolan CV. TATES: efficient multivariate genotype-phenotype analysis for genome-wide association studies. PLoS Genet. 2013;9(1):e1003235.